We would like to know more about our Kickers. 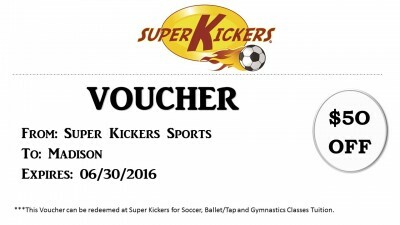 What they like best in our programs and out of Super Kickers. We always hear how the kids love the classes and how eager they are to come back. So, now we would like to show off a little and let everyone know what we usually hear and how cute our Kickers are. Our very first child was Madison. We were tagged on her picture and we loved it so much that we asked her mother’s permission to post in one of our campaigns and from there we had the idea to create this campaign. As a reward we offered Madison’s Mom a voucher and an award to her. If you are interested to participate, don’t hesitate! Your child can get an award too! 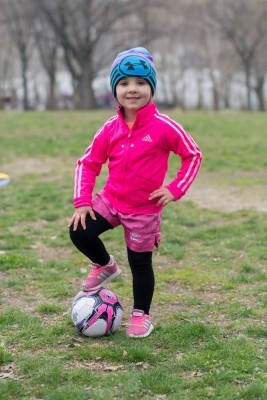 Madison is 3 years old & loves soccer. Madison’s Mom played D1 college soccer at wake forest so she is very eager for her to learn and happy she loves it. 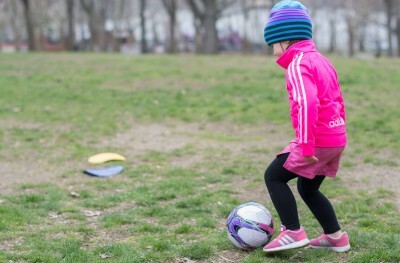 “Every day she asks “is it soccer day?” / her favorite food is pizza, her favorite color is pink (all her soccer outfits have a LOT of pink in them)” said mom proudly. How about you? What’s your story? Let us know how you are doing send us lovely pictures like these. We are happy to have Madison playing with us!!! Madison will be starring in our campaigns! 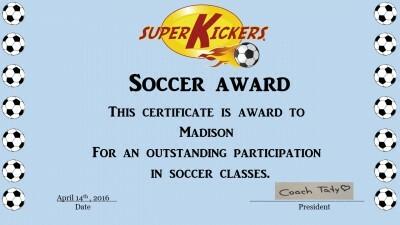 MIMI AND GRANDPA LOVE OUR LITTLE SOCCER PLAYER……….GO MADISON!